There was once a painter. His name was Bob Ross. He painted really well and his paintings made many people happy. 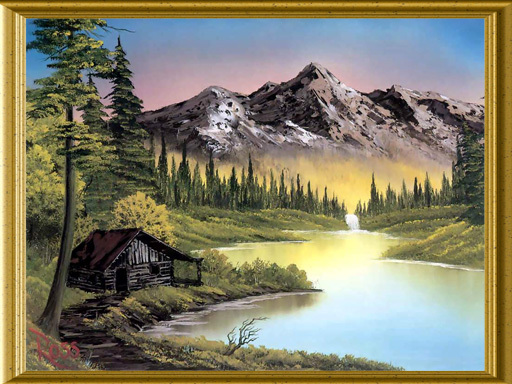 Look at this painting by Bob. Can you point to the hills, the river, the sky, and trees? Let’s watch how Bob paints clouds.